Welcome to the Irish Tea Trade Association. The Irish Tea Trade Association (I.T.T.A.) is the official representative body for tea packers in the island of Ireland. Our members comprise of Barry's Tea, Bewley's Tea, Thompson Family Teas (Punjana) & Robert Roberts. We are a non profit organisation and our aim is to promote tea consumption in Ireland through advertising, education and to provide our members with current information regarding all matters relating to tea including all European legislation relating to tea (camellia sinensis). As a consequence of this the ITTA is the official national representative body for Ireland relating to tea and sits on the Tea and Herbal Infusions Europe (THIE). The Tea & Herbal Infusions Europe (THIE) is the European association representing the interests of producers and traders of tea (Camellia sinensis) and herbal infusions as well as extracts thereof in the EU. To facilitate close contacts between member organisations thus ensuring an open forum for the exchange of views on all relevant matters. To discuss matters of relevance to members with a view to taking joint action on matters affecting their common interest. To actively promote contact with EU officials and collaborate constructively with them and other Trade associations and organisations in the business interests of members. At the same time, THIE task is to do all such other lawful things as are in the interests of members. The THIE is a member of the Confederation of the Food and Drink Industries of the EU (FoodDrinkEurope), Brussels, and co-operates closely with the European Herbal Infusions Association (EHIA). 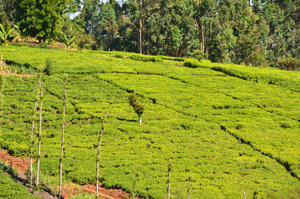 The ITTA are also members of the International Tea Committee (ITC). The ITC was established in 1933, and has been providing the tea industry with valuable statistical information for 75 years. The ITC is an unbiased, non profit making organisation, supported and recognised by many of the major tea producing and tea consuming nations as the official source for tea statistics. Our aim is to continue to produce timely, accurate, impartial data and to remain the definitive source for all your statistical requirements. 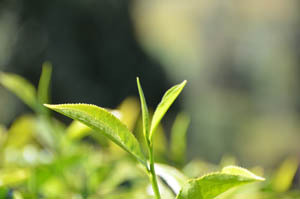 For further information on the International Tea Committee please visit their website. The secretary of the Irish Tea Trade Association is Arthur Fitzpatrick. 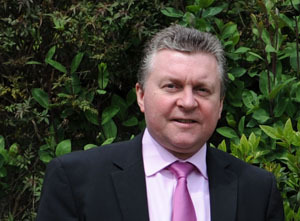 He is the current chairman of Fitzpatrick Tea Brokers Ltd, a former Vice President of the European Tea Committee and is a director of the International Tea Committee in London. Arthur has over 30 years experience in the tea industry and regularly visits tea producers and their tea gardens in Kenya. Uganda, East Africa, India & Sri Lanka.